SAN FRANCISO, Sep 08 (IPS) - It is testing time for global tourism. The ongoing political conflicts across North Africa, compounded by military action in the Middle East, Ukraine and Afghanistan, and the spread of the Ebola virus disease in West Africa have put to the test the ability of international tourism to continue to grow amidst crises. "Not so," say some observers. In fact, the truth depends on what happens from here on as the winter season travelers from the source markets of Europe and North America flock to sunny climes elsewhere. First, let's look at past performance. Last year, 2013, was a banner year for tourism, when for the first time, over one billion tourists travelled the world. However, the real success of tourism lies not in the numbers of tourist arrivals but in the earnings generated by tourism for the national exchequer. By this measure too, last year was a success. According to the World Tourism Barometer, total export earnings generated by international tourism in 2013 were 1.4 trillion dollars. Earnings by destinations from expenditure by visitors on accommodation, food and drink, entertainment, shopping and other services and goods, amounted to 1.15 trillion. Growth exceeded the long term trend readings five percent in real terms taking into account exchange rates and inflation. The growth rate of five percent matched the tourist arrivals rate which was also up five percent in 2013. Apart from these receipts in the destinations, recorded as the travel credit item in the Balance of Payments, tourism also generated export earnings through international passenger transport services rendered to non-residents. This amounted to 218 billion dollars, bringing total receipts generated by international tourism to 1.4 trillion dollars or 3.8 billion a day, on average, in 2013. Where do we stand now? In the first four months, January to April 2014, destinations worldwide received 317 million international tourists - 14 million more than the same period last year, five percent above UNWTO long term projections. Various indicators point to a strong Northern Hemisphere summer peak season. Over 480 million tourists were expected to travel abroad during the four months from May to August, which account on average for 41 percent of all international tourist arrivals registered in one year. According to the UNWTO Confidence Index, prospects remained positive for this period. Confidence has picked up among the private sector and improved further in Europe, the Americas and Asia. Data on international air travel reservations from business intelligence tool ForwardKeys support this outlook with bookings for May-August up by eight percent compared to the same period last year, with intraregional and interregional travel equally strong. The highest growth in bookings was recorded in international flight reservations from Asian source markets, followed by the Americas. The latest regional hotel data for May 2014 show a diversity in performance, but overall, a positive picture of rising demand. Meanwhile, the World Health Organization (WHO) has declared the outbreak of the Ebola virus disease in West Africa a public health emergency of international concern. However, the WHO does not recommend any ban on international travel or trade. The risk of a traveler becoming infected with the Ebola virus during a visit to the affected countries and developing the disease after returning is very low, even if the visit includes travel to areas in which cases have been reported. Where do we go from here? In assessing the prospects for the rest of the year 2014, one has to bear in mind that most travelers who find their intended destinations in turmoil, will change their vacation or business plans and shift to alternative destinations rather than cancel their plans. This means that the destination at issue will see a drop in arrivals, but that other destinations take up the slack, keeping the overall global arrival numbers unchanged. For instance, Egypt (-30 percent) and Thailand (-five percent) have seen their tourist arrival numbers dip sharply because of political upheavals, while other countries with similar tourism offerings have increased theirs. Sri Lanka (+27.6 percent), Japan (+27.5 percent) and Vietnam (+27.3 percent) all recorded substantial gains, up to April 2014. In the first four months, January to April 2014, destinations worldwide received 317 million international tourists - 14 million more than the same period last year, five percent above UNWTO long term projections. For the full year 2014 international tourist arrivals are expected to increase by 4 to 4.5 percent, slightly above UNWTO's forecast of 3.8 percent per year for the period 2010 to 2020. According to WTTC research in conjunction with Oxford Economics, travel and tourism's contribution to the world GDP grew for the fourth consecutive year in 2013, rising to a total of 9.5 percent of world GDP (seven trillion dollars). Around 4.7 million jobs were created worldwide as a result of travel and tourism activity last year, meaning that the sector now supports 266 million people in employment -- that is one in 11 jobs on the planet. International tourism now accounts for 29 percent of the world's exports of services and six percent of all exports of goods and services. As a worldwide export category, tourism ranks fifth after fuels, chemicals, food and automotive products, while ranking first in many developing countries. The results confirm "the increasing role of the tourism sector in stimulating economic growth and contributing to international trade," says UNWTO Secretary-General Taleb Rifai, adding that it is time to position tourism higher in the trade agenda, so as to maximise its capacity to promote trade and regional integration. 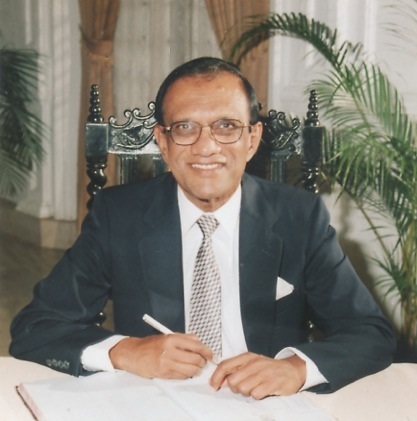 Lakshman Ratnapala is Emeritus President & CEO of Pacific Asia Travel Association (PATA). The views expressed in this article are those of the author and do not necessarily represent the views of, and should not be attributed to, IPS-Inter Press Service.